How to connect SoundSeeder via Wi-Fi Direct - soundseeder.com | Play music simultaneously on multiple devices. 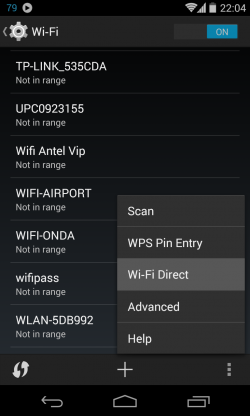 To connect your SoundSeeder devices via Wi-Fi Direct go to your Android Wi-Fi Settings. 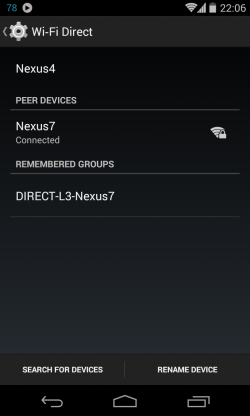 In the advanced settings menu select Wi-Fi Direct on every device you want to connect. 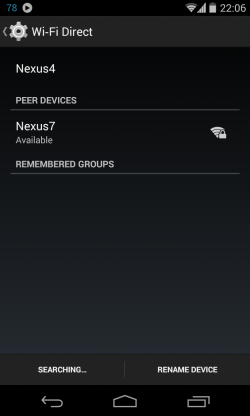 The next dialog shows all Wi-Fi Direct devices that have been found. Select the devices you want to connect to, to invite them to your Wi-Fi Direct group. After the connection has been accepted by these devices they are connected and SoundSeeder is ready to use.